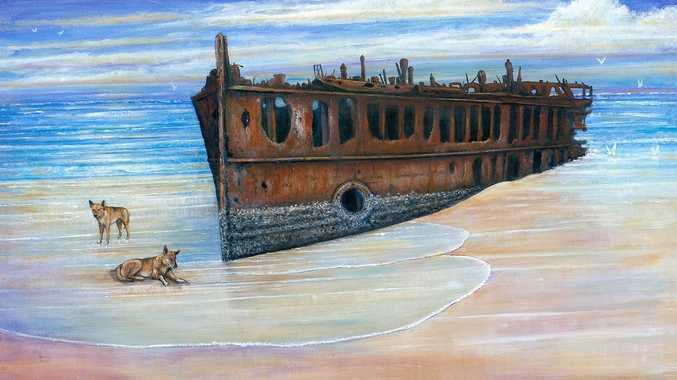 Owen Pointon's painting, titled Dingoes Guard the Wreck, is on display at Happy Valley Resort on Fraser Island. "The ship featured is the S.S. Maheno, which was actually a hospital ship for the New Zealand Armed Forces at Gallipoli," Mr Pointon said. 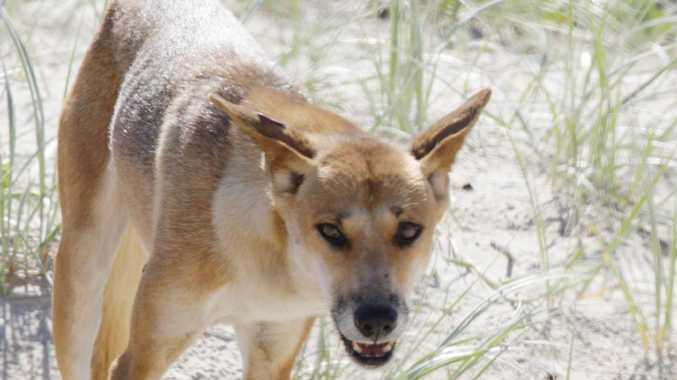 "Plus, of course, the Fraser Island dingoes are symbolic of the island. Owen Pointon's work will be on regular display at the Visitors Centre from now on.